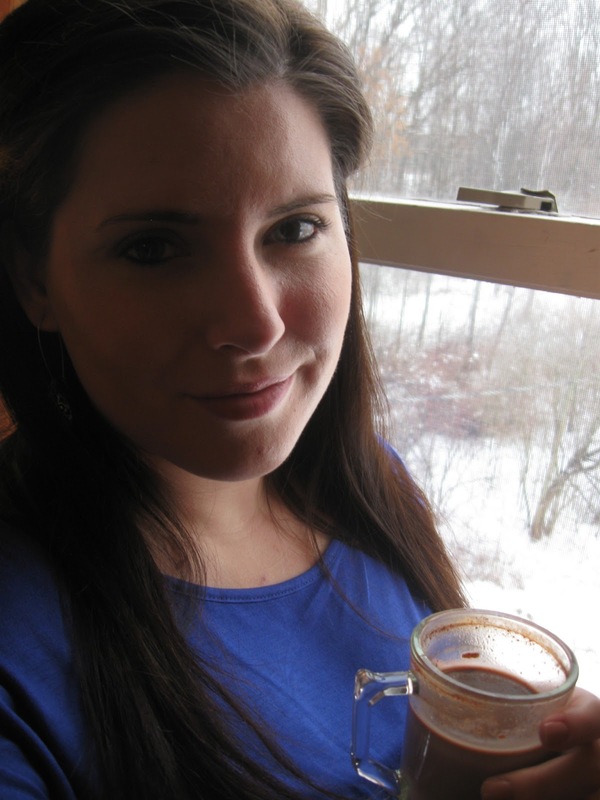 Here's the deal: I can't stand most hot chocolate. 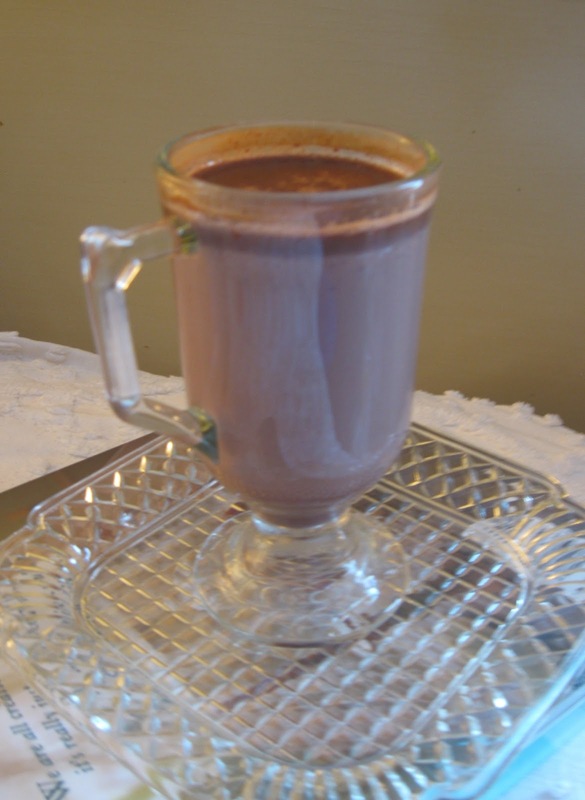 For some reason a lot of us tend to make our hot chocolate with water (not always, but much of the time) and we wonder why it's just not creamy tasting. Basically making it with milk makes all the difference, but I have come up with my own recipe that is simple yet packs a lot of sweeeet chocolaty goodness. Two, well...three things I love about Dove Dark Chocolate: 1). It's really smooth and rich, not grainy in the least. 2). It's not bitter. 3). It's about $.89 cents per bar. 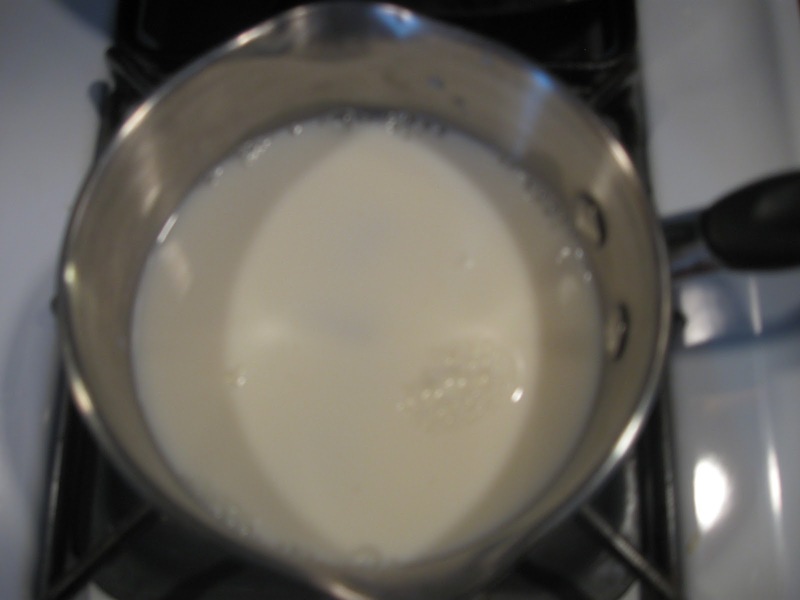 Mix one cup of milk with half a bar of Dove dark chocolate on low heat. 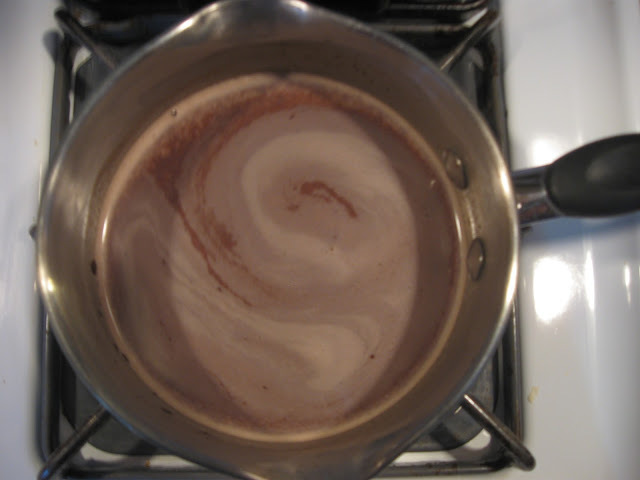 Stir continuously on low heat to melt the chocolate. It will be a bit grainy at first, but keep stirring. After about 5 minutes of stirring the mixture will definitely start to look more "chocolaty", so don't be too concerned with adding more chocolate. At this point you're going to add a drop of vanilla extract, (a little goes a long way!) and stir for another minute. 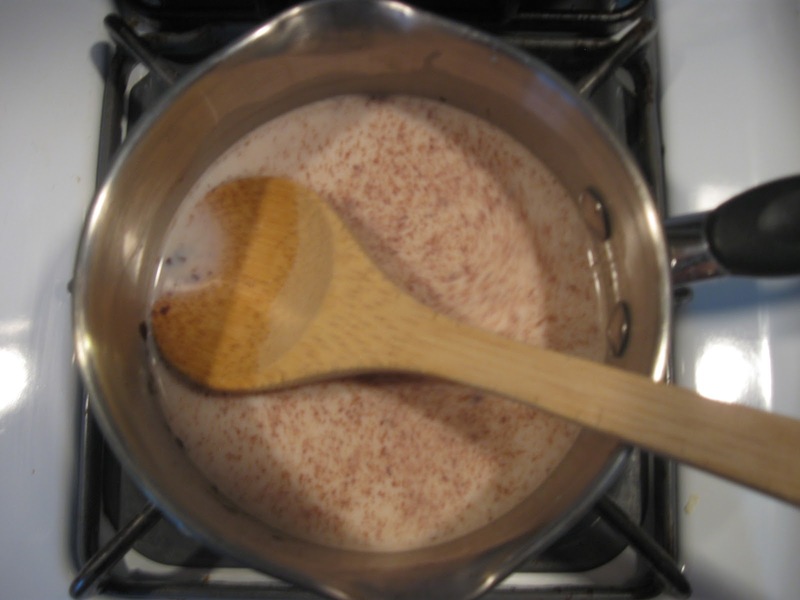 Pour the mixture into a glass or mug and add a dash of cinnamon! Another thing I love about this recipe, is that you only need half a bar of this chocolate per serving, so you can easily do two servings with one bar! Looks so yummy! Hot chocolate without the milk is so gross!! I tried to make it work so many times, but it just doesnt! Not the same for sure. Thanks for stopping by Inna! I really like it with water! But this looks fabulous Leah, I mean...Dove Dark Chocolate....can't go wrong! Haha, I knew you'd like the ddc bit! Glad you liked it, thanks for stopping by Marie!